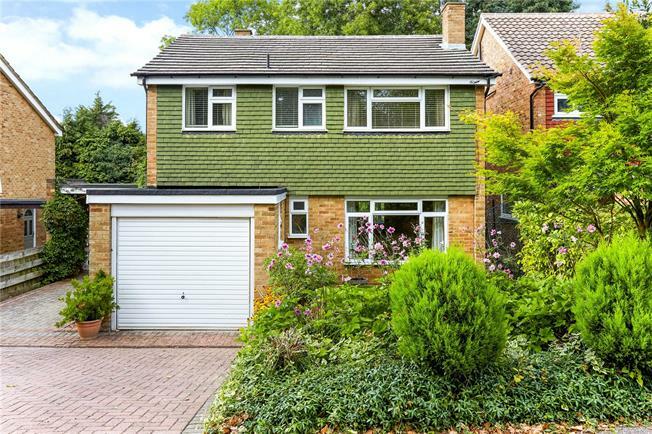 4 Bedroom Detached House For Sale in Surrey for Asking Price £950,000. A beautifully presented four bedroom family home set in a cul-de-sac in the heart of Long Ditton. A large, bright hallway leads into the sitting room with views out onto the front garden and access into the dining room with large window looking over the rear garden. To the rear of the property is a modern fitted kitchen with access into the garden. The ground floor is completed with a downstairs cloakroom and garage. Upstairs there is a family bathroom with separate WC and four good size bedrooms, three of which have built in storage space. The property is completed with off-street parking to the front, side access to the rear garden and has the potential to extend subject to planning permission. Cumbrae Gardens is situated 1.3 miles from Surbiton station with a frequent fast service to London Waterloo, making it the ideal location for commuters. There is convenient access to both Surbiton and Kingston town centres with their array of shops, restaurants and transport links. Long Ditton is also renowned for excellent infant, junior and secondary schools making this area the perfect location for families.